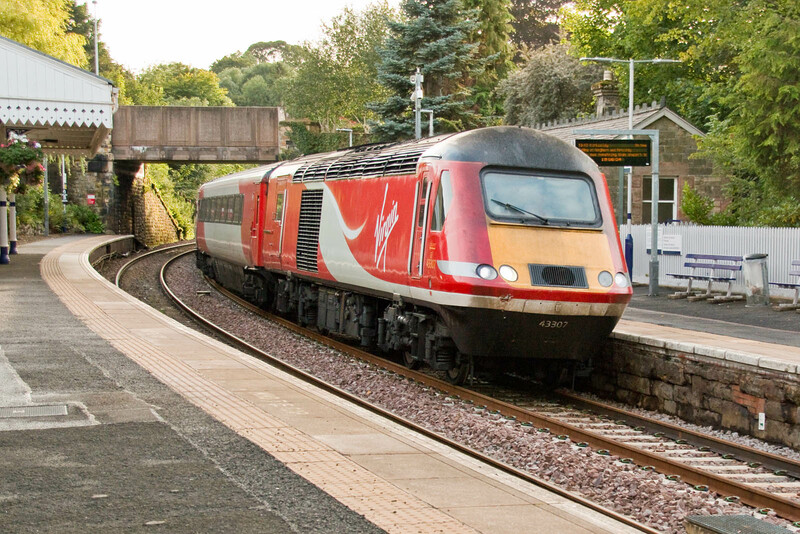 One hour in the summer months, between 18:30 and 19:30, covers the passing of two loco-hauled Fife Circles, the 'Aberdonian', and the cement empties from Aberdeen Craiginches - Oxwellmains, if the latter runs. 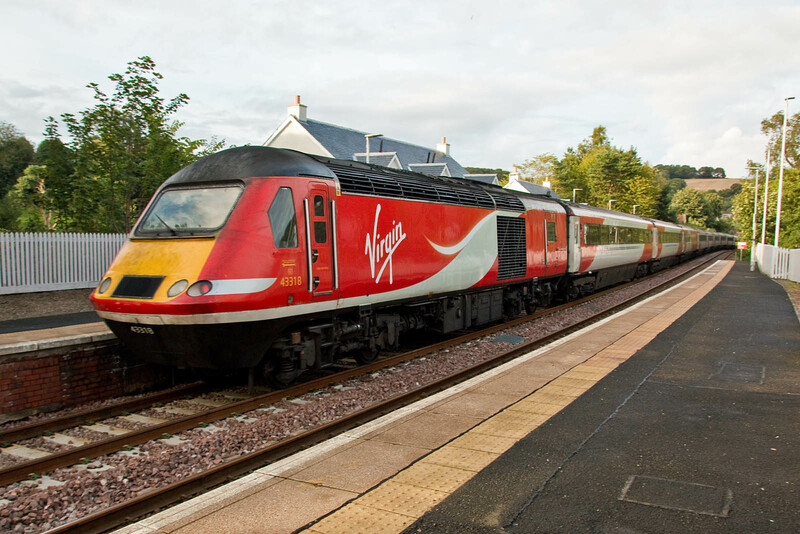 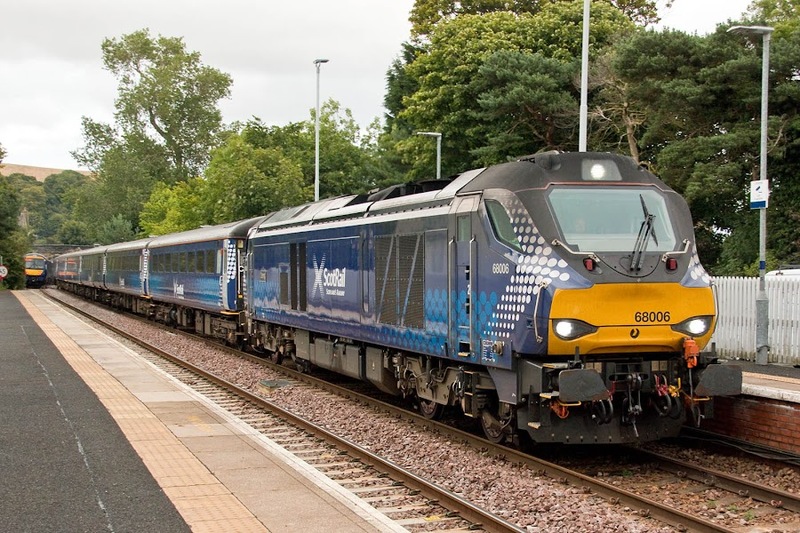 68006 2K14 18:15 Glenrothes - Edinburgh. 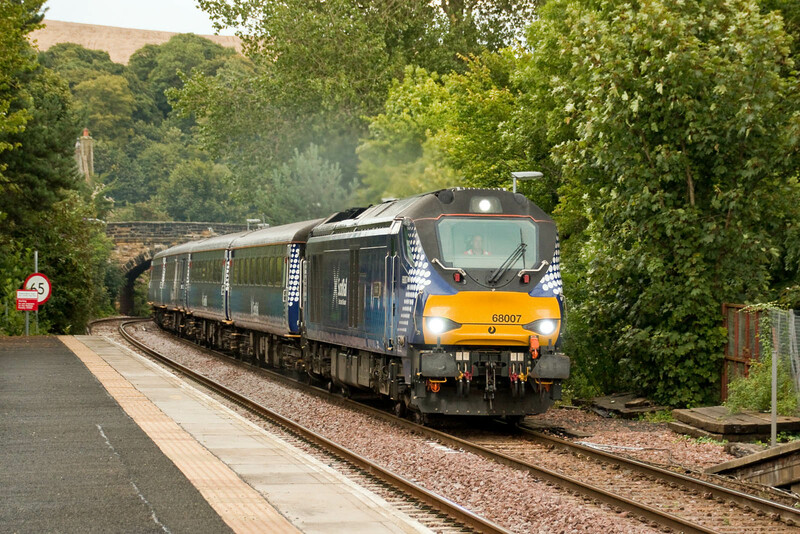 68007 5L70 18:24 Cardenden - Motherwell. 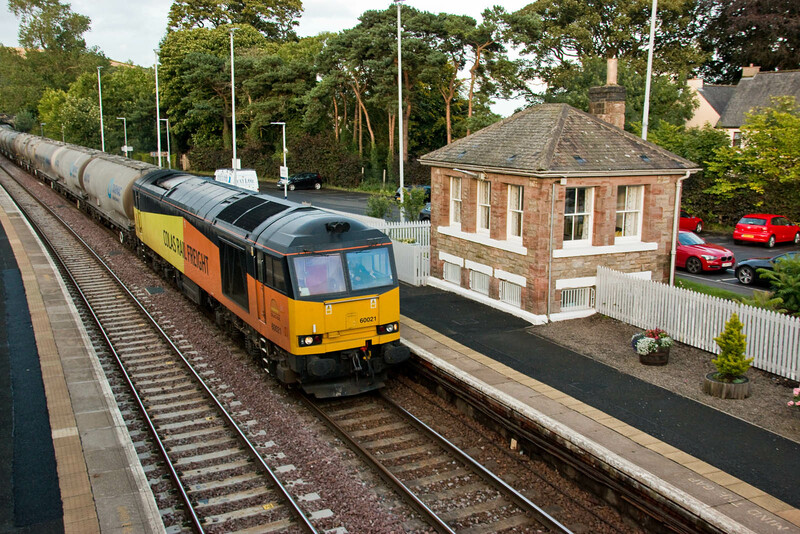 60021 6B32 16:52 Aberdeen Craiginches - Oxwellmains.